The Economic and Financial Crimes Commission on Tuesday said its operatives intercepted gold worth about N211m being illegally transported through the Murtala Mohammed International Airport, Lagos to Dubai. Following intelligence report, the operatives were said to have on Friday, November 9, intercepted the gold weighing about 35kg at the point of departure from a suspect, who is currently in the EFCC’s custody. “Investigations are currently ongoing to unravel the suspect’s accomplices in the illegal movement of the goods. 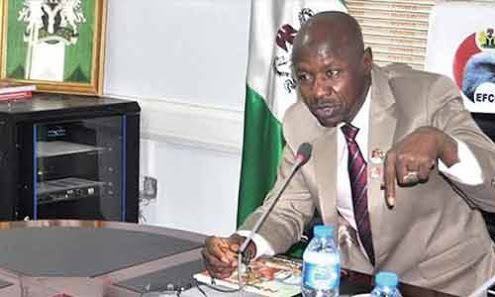 Meanwhile, the suspect is cooperating with operatives,” the acting Head, Media and Publicity, EFCC, Tony Orilade, said in a statement on Tuesday. The anti-graft agency had in March 2017 intercepted bags containing N49m being illegally transported out of the country through the Kaduna International Airport.